A friend recently gave me a facsimile copy of a fascinating little book that was published in London in 1780. 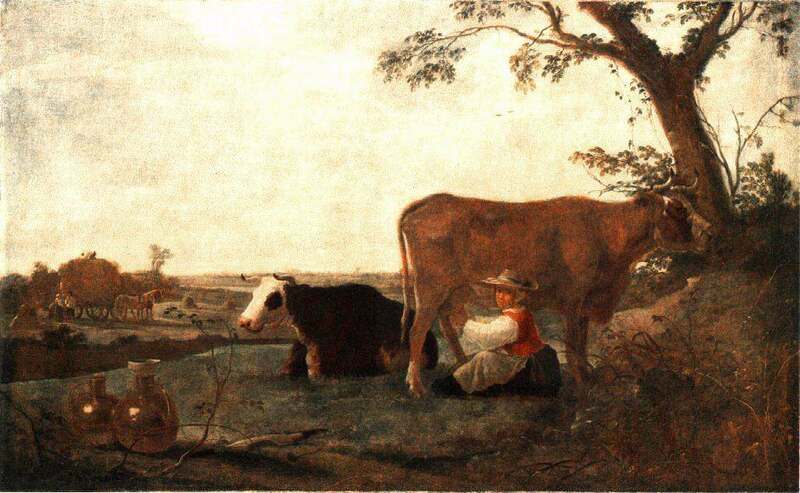 It is The Farmer’s Wife; or The Complete Country Housewife by Alex. Hogg. 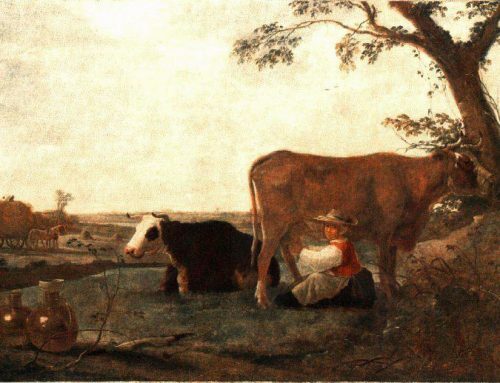 The book contains instructions for managing all types of poultry, hogs, and honey bees; as well as recipes for sausages, hogs-puddings, wines, “cyder,” beer and other drink, butter and cheeses, and for preserving fruits and vegetables. 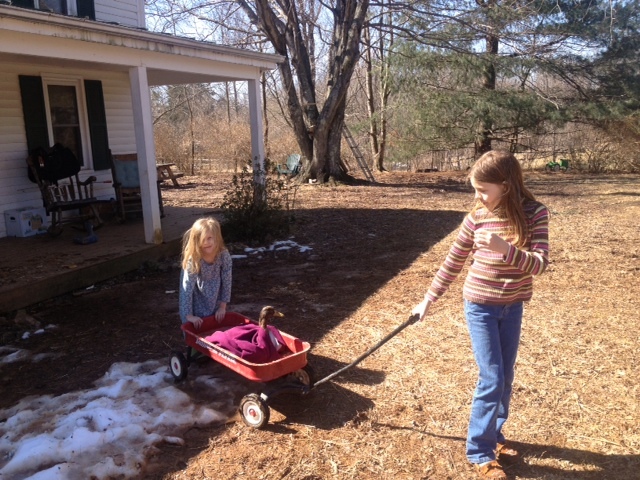 I can just see the farmwife sending her children out to gather ant eggs from under rocks and logs! And I was delighted to see the tip about feeding curd or new cheese. Apparently the practice goes back a long time. 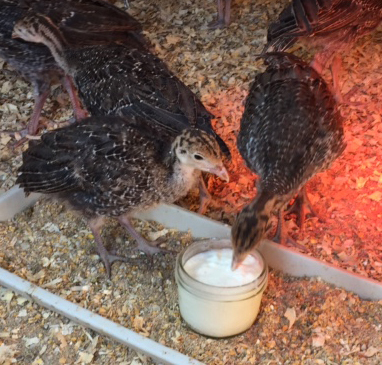 I can’t remember where I learned the “old timers trick” of feeding poults yogurt to keep them healthy, but we have definitely observed that ours do much better when they have it. The cultured proteins are easy for them to digest and provide healthy gut flora vital to their immune system. For their first few days, we also add to the poults’ water a crushed garlic clove for its antibacterial qualities, a little organic raw apple cider vinegar and honey. We do not use antibiotics on any of our poultry under any circumstances, preferring natural methods to build immunity in our flocks. I was fascinated to read of Hogg’s use of the medicinal herbs rue and wormwood for poults, especially because of his warning against letting them eat snails and slugs which can serve as intermediate hosts for parasites harmful to young turkeys. Most healthy heritage-breed turkeys develop a natural resistance to parasites by maturity. The anti-parasitic affects of wormwood are well known to me since we use it to treat sheep, but I was curious about the rue so I looked into it further and found a reference to rue leaves as a treatment for croup in poultry on page 303 of Herbal Simples by W.T. Fernie, M.D., London 1895. 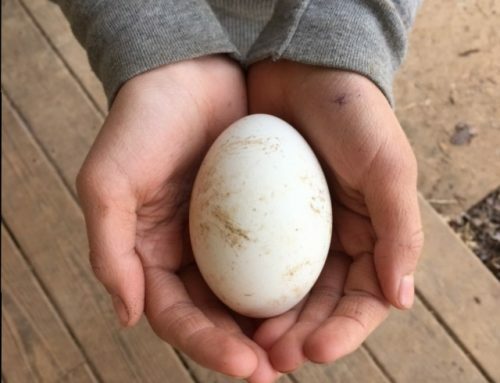 Perhaps in his experiences Hogg had observed that poults are much more susceptible succumbing to environmental stresses such as cold, dampness, bacteria and parasites than young chickens, ducks and geese. It is indeed important to keep them in a very clean, warm and dry environment when they are small. 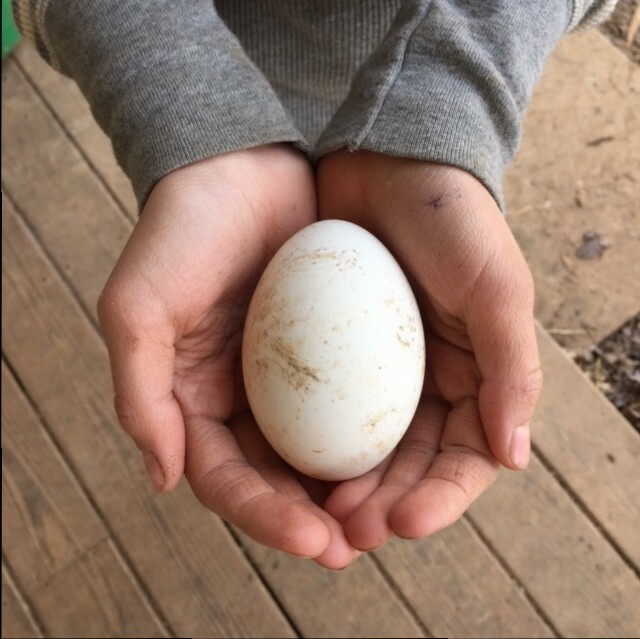 We keep ours in the brooder house for at least 8 weeks (compared to 3-6 weeks for baby chickens) and pay extra special attention to their care. Fortunately, once turkeys have matured, they are often described as “tough as nails” and we would call that an accurate description. It’s getting them to that point that is the trick. True, true! They can rack up quite a feed bill, so once our turkeys have matured we only give them a little feed and then watch them combing the fields and woods for seeds, grasses and insects. They are beautiful birds and we feel blessed to have them grace our farm. 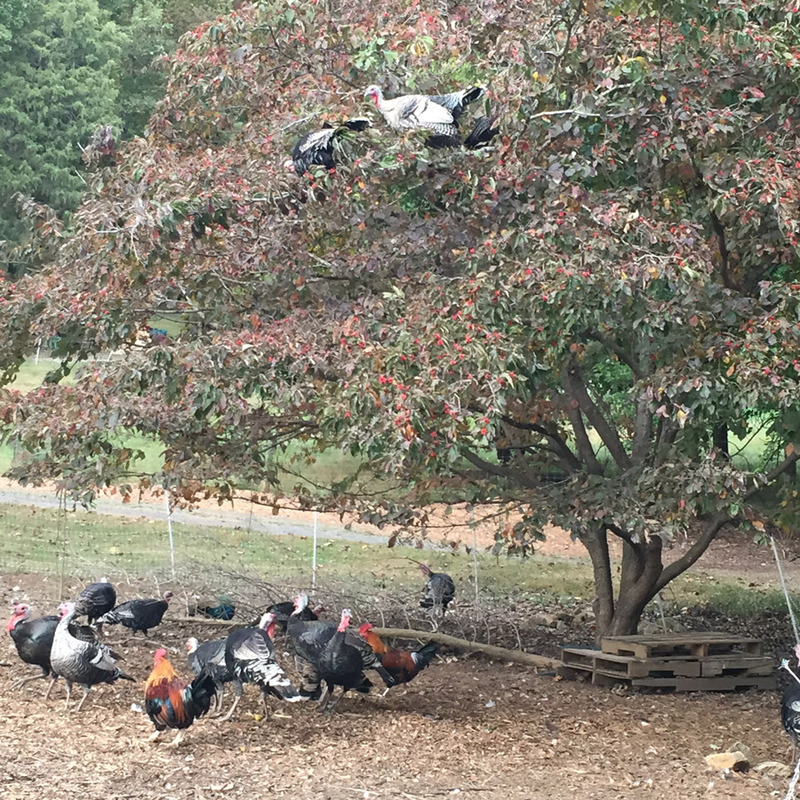 Our turkeys feasting on dogwood berries in the fall. Which Breeds For Your Table?